The HMI Squeegee Cutter is designed to allow the customer to trim the standard 3/8" x 3/8" squeegee to a custom length for use on the production floor. 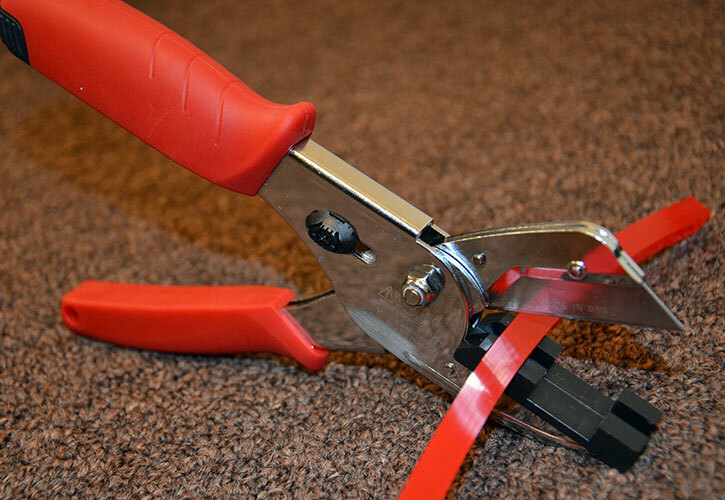 Rugged and reliable, the Squeegee Cutter has an easy-to-replace cutting blade. Additional blades are stored in the handle. Safe to use and taking up very little work space, the HMI Squeegee Cutter is an excellent way to maximize usage of squeegee material. The HMI Squeegee Cutter can be used with other sizes of squeegee as well.